We are skilled at identifying a company's personality and culture and helping our clients to identify their target audiences and competitors. And although new logo designs and redesigns are a large part of this process, it is the successful implementation across different media that can make the difference. We have managed a large number of new identity programme's and are also experienced with working with existing identities. We can also assist with brand and product naming in conjunction with the design process. 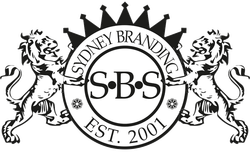 Whether its sophisticated print design, creative advertising or a stylish website, Sydney Branding Services can deliver the results you're after. If you're looking for excellence in creativity, an eye for detail and a no compromise attitude to production then SBS is ready to offer service and value at a cost that larger agencies cannot match. Contact us on any of the numbers below for a no obligation meeting to discuss your requirements.